Businesses in Alaska, Idaho, Oregon, and Washington can contact NorthwestTAAC by email or phone. Learn about our team members and how they can help with import competition challenges. If your firm is located outside this region, please click here to locate the Trade Adjustment Assistance Center for your region. David Holbert directs NorthwestTAAC operations, provides strategy and planning services to clients, and maintains contact with a wide variety of organizations in the region. David has been with NorthwestTAAC since 2013. He has worked within the TAAF program for over 20 years performing all program roles including director of a research center at the University of Southern California that sponsored the TAAF office serving Arizona, California, Hawaii, and Nevada. David has also been a business owner, a private consultant, and a director of employment and training services. He has a broad perspective of business and economy west of the Rockies, and deep experience in a wide variety of industries. David holds a Master in Business Administration degree from Arizona State University and Bachelors in English Literature. David resides in Portland Oregon and is a third-generation Oregonian. Patrick is often the first team member to talk to companies exploring solutions for import competition. He consults with company management to determine program eligibility and assists in the application process. He also directs the client development and marketing effort for NorthwestTAAC managing contacts with a wide range of individuals and organizations across the northwest region. Patrick joined NorthwestTAAC in 2009. Earlier in his career, he worked as a policy advisor in the U.S. Senate on national security and trade policy, among other issues. He holds a MA in National Security and Strategic Studies from the U.S. Naval War College and a BA in International Studies and Spanish from the University of Idaho. 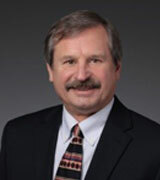 Patrick resides and manages the NorthwestTAAC branch office in Boise Idaho. 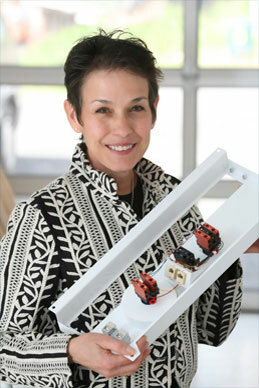 Amy Pieper works with client companies as they implement projects using the TAAF matching fund. She adds integrity and rigor to the contracting process through years of experience working with clients and consultants in a vast range of consulting projects. Amy has served NorthwestTAAC clients since 2010 and brings the perspective of over 20 years of experience in banking and data management to her work. Amy received a bachelor’s degree from Central Washington University. 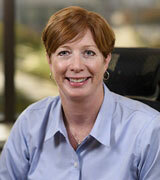 Amy is a lifetime resident of Seattle and is active in several community service organizations. Ken Wenninger joined NorthwestTAAC in January, 2017 as the Organization’s Director of Client Development. 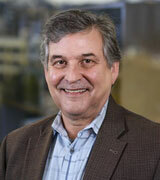 He has over 40 years experience in business development and marketing. At NorthwestTAAC, Ken works closely with team members to get the word out on the organization’s federally funded Program assistance program, primarily through in-person meetings and presentations. He received his Bachelor of Arts Degree in Speech Communications with a minor in Psychology from the University of Toledo, Toledo, Ohio. Shane is a talented and versatile trade and policy expert with diverse experience in critical sectors including: all levels of government, both domestic and foreign; private sector; and academia. He engages with companies who are working with NorthwestTAAC to write and implement their Adjustment Proposals. He also does outreach to economic development organizations and potential eligible firms. Shane has previously worked for United States Senator Lisa Murkowski (AK), at her office in Washington, D.C. and also for the Overseas Security Advisory Council at the U.S. Department of State. 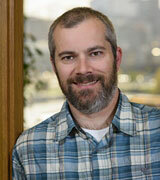 Shane was born and raised in Alaska and had the opportunity to visit and work in over 30 countries. Currently he resides in Seattle, WA, enjoying the PNW lifestyle to the fullest. Sue manages the administrative functions of NorthwestTAAC.